AMAZING!!! GOP Surges to 2018 Generic Ballot Lead in New Reuters Poll Over Democrats … Double Digit Democrat Lead Gone! In February and March of 2018 Democrats spoke of a “Blue wave” that would sweep them into control in the House and Senate in the 2018 midterm elections. All of the Generic ballot polls had the Democrats ahead by double digits. 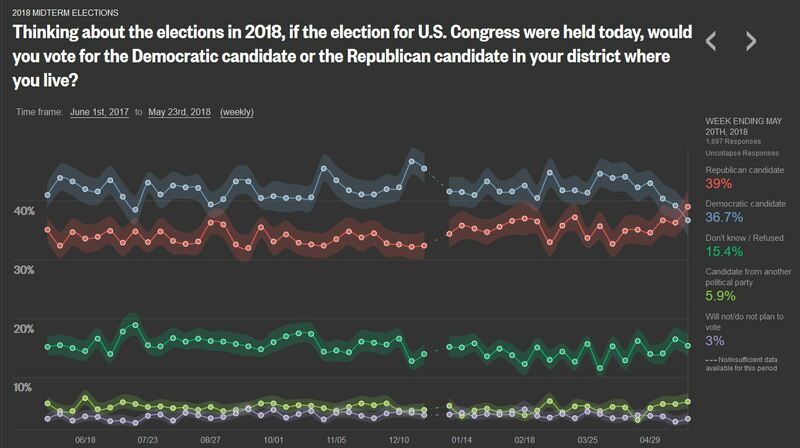 Including the Reuters Generic ballot that had double digit leads for Democrats just a few months ago. Fast-forward to the present and an American people that are weighing the reality of what Trump has done for America vs. the rhetoric and bias of the Democrats, MSM and the LEFT. 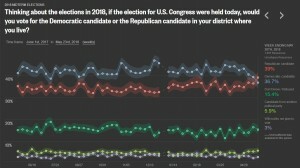 According to the most recent Reuters Generic ballot poll, the GOP now has a 3 point lead for the first time. You can even see at RCP, the polls are trending to the GOP. The double digit leads are done fro the Democrats. This on the foot-heels of a recent CBS poll that stated 68% of Americans gave President Trump the credit for the good economy. So after the liberal MSM’s best efforts to destroy Trump’s presidency with 90% negative news, Americans are seeing the truth for themselves. Donald Trump has defied the odds at every turn. Trump was not supposed to defeat 16 Republicans in the GOP primaries and he did. Trump was not supposed to beat Hillary Clinton for the U.S. presidency and he did. Trump and the GOP are supposed to lose all kinds of seats in the upcoming 2018 midterm elections. Wouldn’t it be just like Donald Trump to prove them wrong again and pick up seats instead. We shall see. 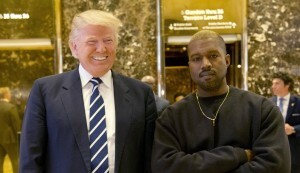 According to a recent Reuters poll following the positive comments of Kanye West toward President Donald Trump shows that black male support of Trump has doubled in one week. WOW!!! The poll taken on April 29, 2018 showed a remarkable approval rating of 22%, up from 11% in a poll taken on 4/22/18. The poll also showed that Trump’s approval rating also increased from 8.9% to 16.5% during this same period of time. This is the Kanye effect and why the LEFT, Democrats and the liberal MSM are trying to destroy the credibility of Kanye West. If blacks come to believe and understand it is okay to like and vote for Republicans and President Trump, the Democrats are toast. Exit polls from the 2016 elections showed that Trump garnered 8% of the black vote, if that percentage ever went to 16 or 17 percent, Democrats would be in serious trouble. 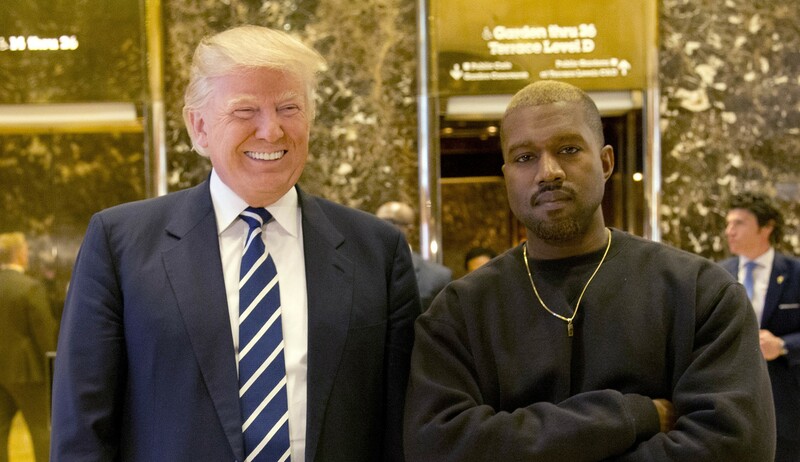 This is why we are now witness to the destroy Kanye campaign so that blacks never think for themselves and don’t point one and one together that it was under President Trump that blacks have an all-time low unemployment rate and they are benefiting under Trump. OH CANADA … SO YOU THINK ITS JUST THE USA THAT WANTS ILLEGALS DEPORTED, EH? According to a recent Reuters/Ipsos opinion poll, nearly half of Canadians want to deport those individuals who have entered Canada illegally. Well how do you like that, Canadians appeared to be just as concerned about illegal immigration as Americans, as 48% said they wanted illegals deported. I guess that makes Canadians bigoted too? It would seem that Canadians do not like those who come to their country without following the rules. Sound familiar? The increasing flow of hundreds of asylum-seekers of African and Middle Eastern origin from the United States in recent months is becoming a contentious issue in Canada. Although there has been broad bipartisan support for high levels of legal immigration for decades in Canada, Trudeau is under pressure over the flow of the illegal migrants. It would appear the second honeymoon is now over for President Barack Obama as his job approval ratings are plummeting. In a recent Reuters/IPSOS Poll, Obama’s approval rating has fallen to 43%. Are the people finally fed up with this president and his same old, one trick pony political blame game? 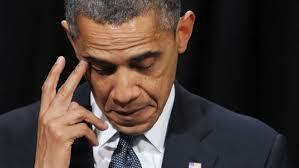 The people thought that a reelection of Obama would some how cause him to become a leader. Instead, his thin skinned attacks and blame game are as vocal as ever. The sequestration lies and misrepresentations from Obama are a double whammy for Obama. On one hand you have “We the People” sick and tired of the president and Congress unable to do their jobs. On the other hand you have “We the People” sick of Obama and his minions exaggerations and lies that the world will end if sequestration took place. Just last week Gallup had Obama’s job approval back into the 40′s. Less than two months into his second term, President Barack Obama’s approval rating has dropped and Americans blame him and his fellow Democrats almost as much as his Republican opponents for a fiscal mess. Most of that steep drop came in the week to February 26 when it was becoming clear that Washington was going to be unable to put aside partisan differences and agree to halt automatic budget cuts which started last Friday. Confounding the White House’s efforts to blame Republicans for the cuts, most respondents in the online survey hold both Democrats and Republicans responsible. Jammie Wearing Fools have further issues that Americans have grown weary of from this president does everything to distract “We the People” as he des nothing to improve job growth. Gun control, immigration, so-called climate change and gay rights do nothing to help our economy, which is why he’s using those as a distraction from his endless economic failures. For all the squabbling over piddling cuts in future spending, nobody seems to ask why his trillion-dollar sequester has shown zero results. It would appear that Barack Obama has received a post convention bounce according to two polls released on Saturday. The Gallup daily tracking poll has Obama at 49% support among registered voters and GOP candidate Mitt Romney with 45%. A Reuters/Ipsos poll released on Saturday also has a Obama up; however, it is reported with a rather misleading title that Obama leads despite jobs data. Sorry, but the pathetic, anemic and poor jobs report came out on Friday. That is hardly enough time to feel the effects in a poll released on Saturday. Also, the polls for the swing states are going to be a better predictor for who shall be the next President of the United States. In not one battleground state is Obama polling at 50% or better. President Obama’s post-convention bounce has grown to four points according to two new polls released Saturday. Gallup’s daily tracking poll has Obama at 49 percent support among registered voters to GOP candidate Mitt Romney’s 45 percent. The new figures show a 1-point increase for Obama from Friday’s results and reflects voter sentiment after the final day of the Democratic National Convention. The Gateway Pundit reminds us to be not afraid, Gallup had Jimmy Carter up 4 points over Ronald Reagan in September 1980. We all know how that election turned out and how the undecided voted. I ma hardly suggesting that Romney will win like Reagan did in 1980; however, it is most likely that undecided voters will break to the challenger Romney due to the poor economy. At some point Americans are going to have to determine how 43+ months of an unemployment rate over 8%, a record number of Americans on food stamps, a national debt over $16 trillion and Barack Obama with no answers to any of it except for more of the same and asking for more time is the answer. Any one with a clue, who actually loves America and wants the United States to go forward and not wind up in economic disaster will vote for Romney.